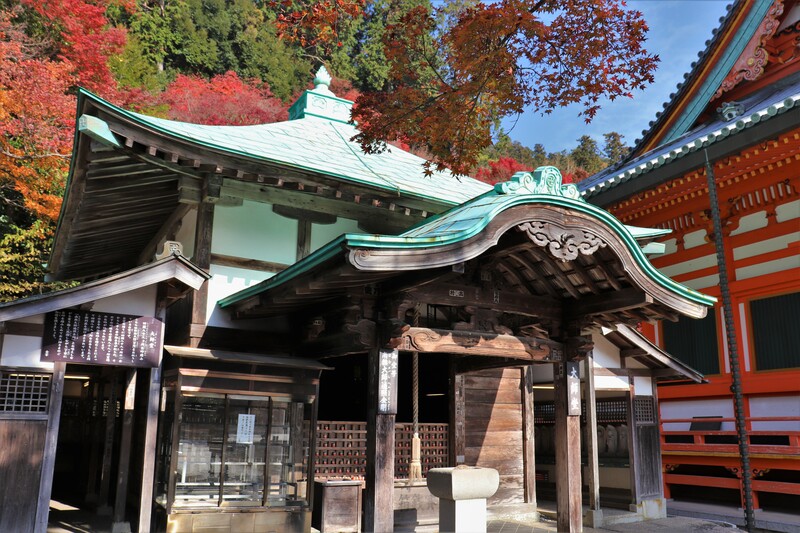 Tucked away in the mountains if north Osaka the 23rd temple of Saigoku Kannon Pilgrimage, Katsuo-ji Temple [勝尾寺]. This ancient temple has quite the reputation. For one, the temple has long been a place for people seeking prosperity and success; the katsu [勝] of Katsuo-ji even means victory. 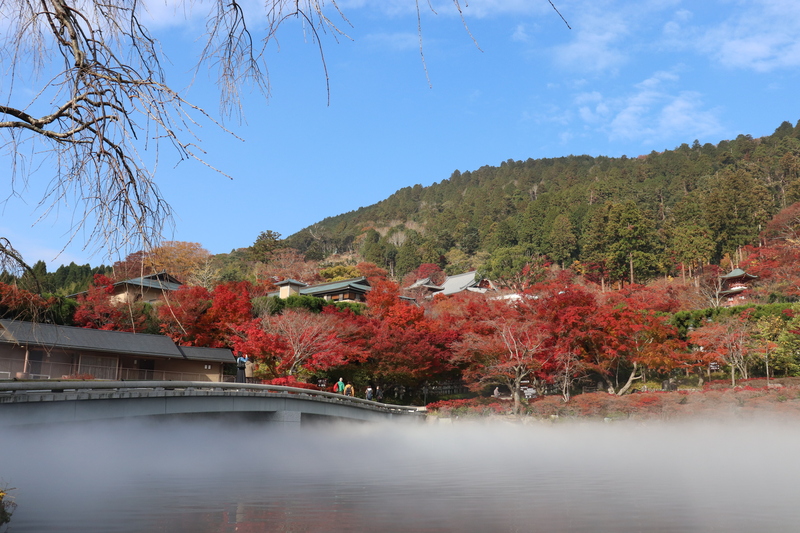 The other reason why the temple is so popular is it surrounded with beautiful natural scenery. 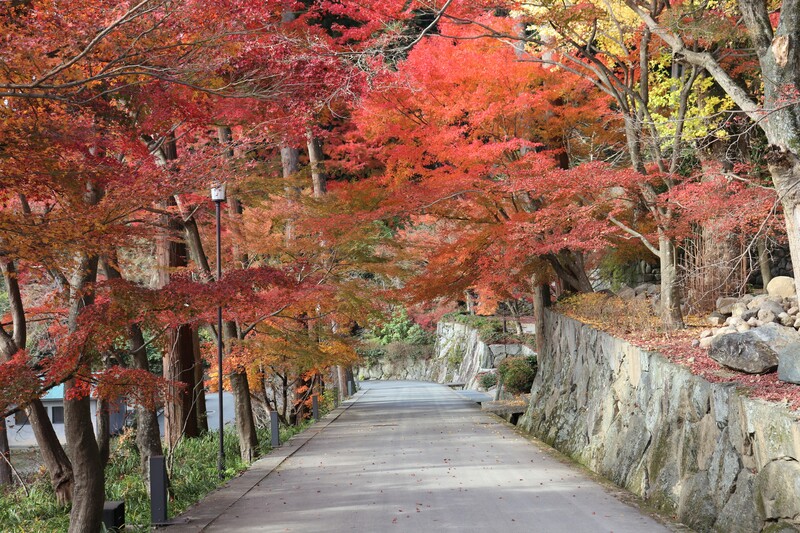 In particular, the fall foliage here is so beautiful that it attracts thousands of visitors from all over Osaka every year. 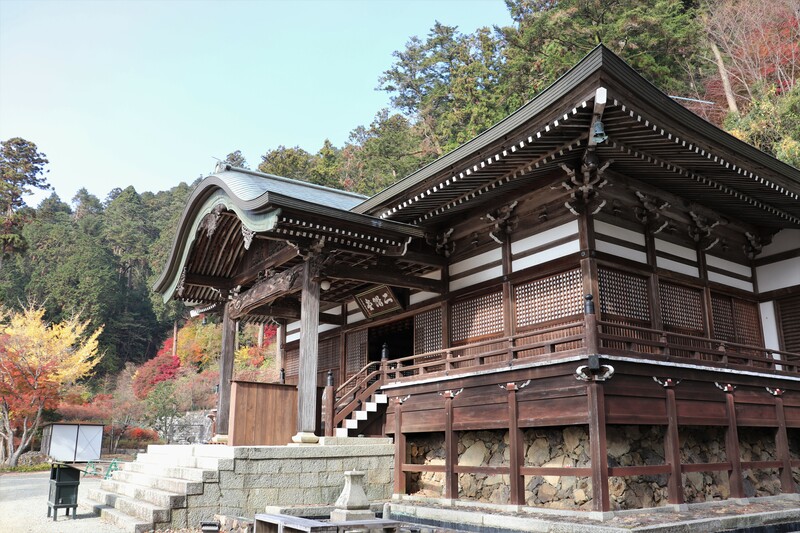 According to temple records, in the 8th century two brothers from the powerful Fujiwara clan built a little hut on the site of the future temple. 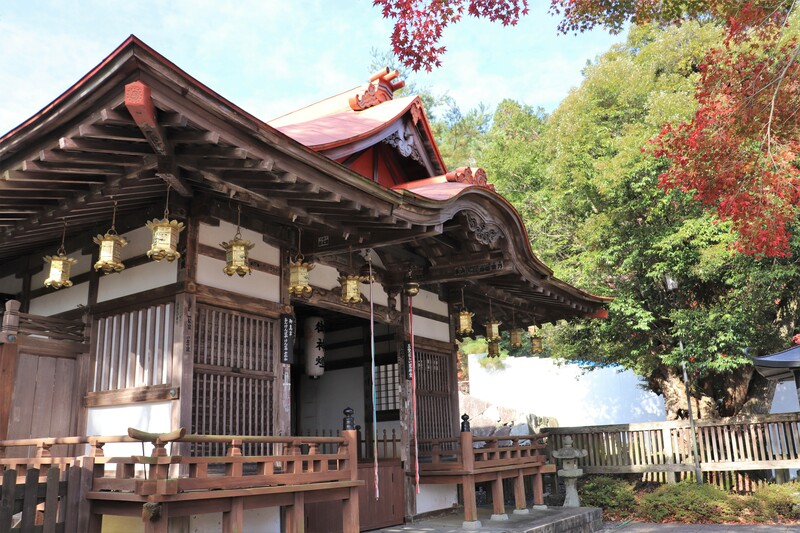 Then, in the late 8th century, the son of Emperor Konin became a monk here and this hut officially became a temple bearing the name Miroku-ji Temple [弥勒寺]. Much later, Emperor Seiwa came down with a life threatening illness. The monks of this temple prayed night and day for the emperor’s recovery and as luck would have it the emperor did indeed get better. 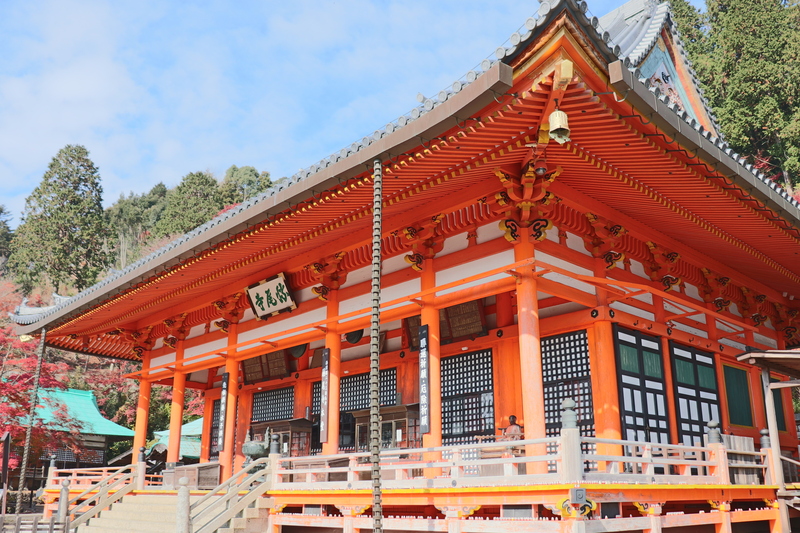 This turn of events proved that the temple held immense spiritual power and was renamed to Katso-ji [勝王寺], literally meaning “victory king temple”. Later, the kanji for king changed, since some thought the name implied victory over a king. 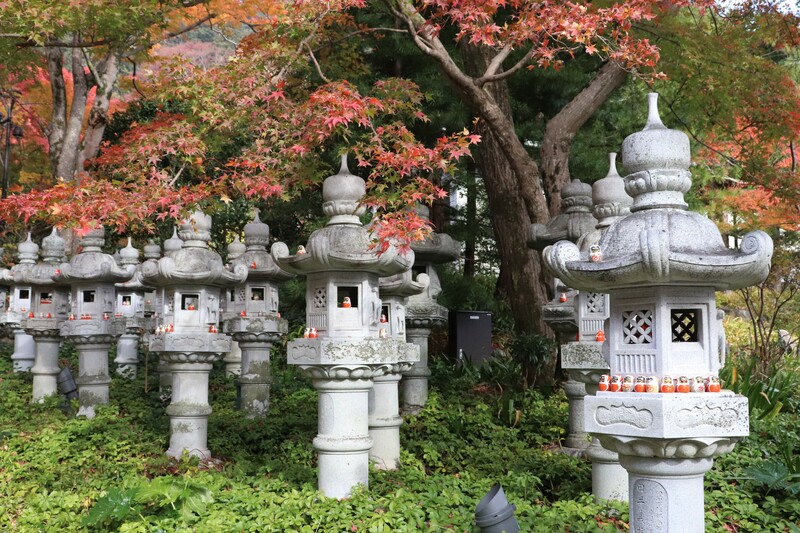 Katsuo-ji Temple continued to prosper as it became one of the temples of the Saigoku Kannon Pilgrimage. 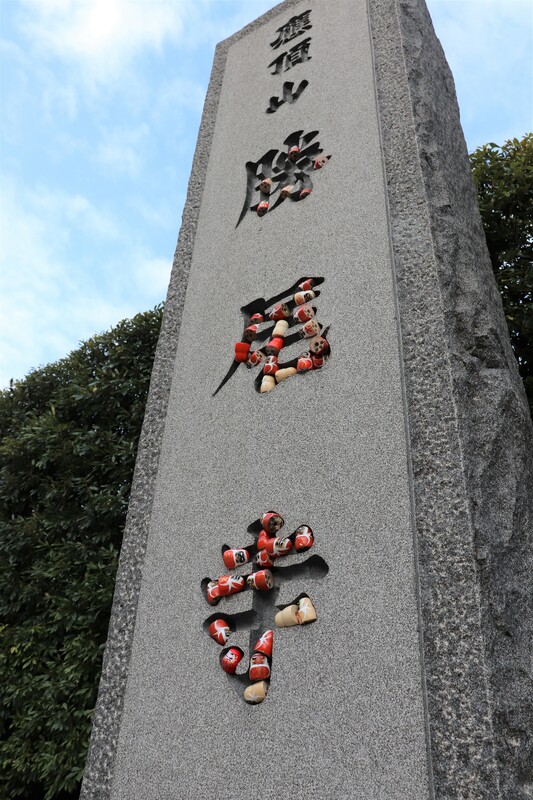 Katsuo-ji’s fortunes have not dimmed over the centuries and it remains a popular place for many people visit to pray for victory in their exams, love, business, etc. 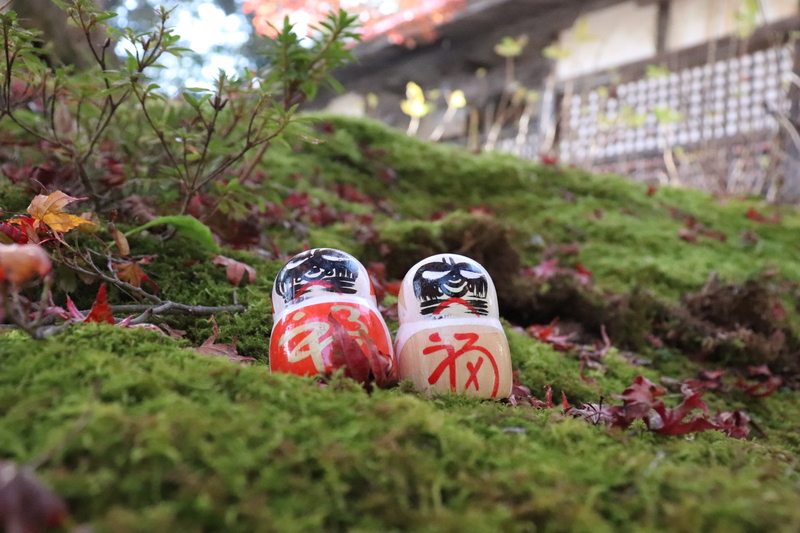 Once you enter Katsuo-ji Temple, you will see many funny little red dolls, daruma, throughout the temple grounds. 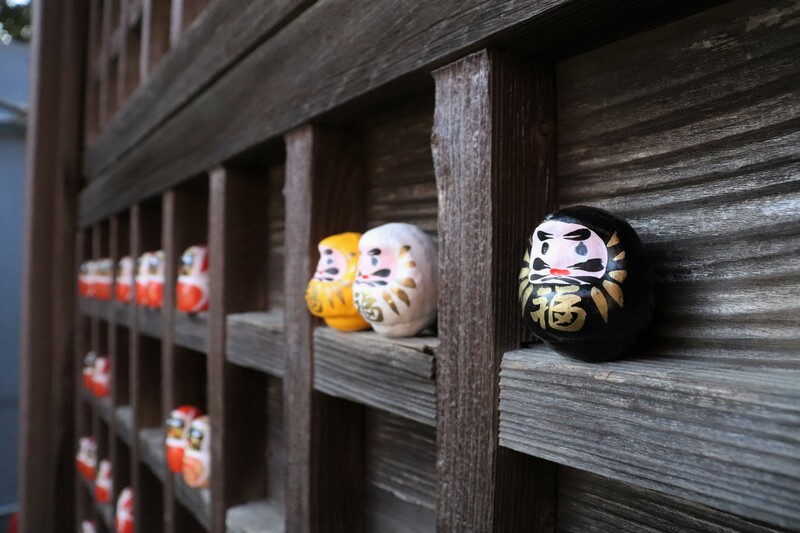 But what are these daruma, and what do they represent? The red color wards off the evil spirits. Daruma are in fact not unique to this; you can find them everywhere in Japan. These dolls represents one of the key figures in Zen Buddhism, Bodhidharma. Originally from India, the monk Bodhidharma traveled all across Asia and in to China in order to spread the teachings of Zen Buddhism. 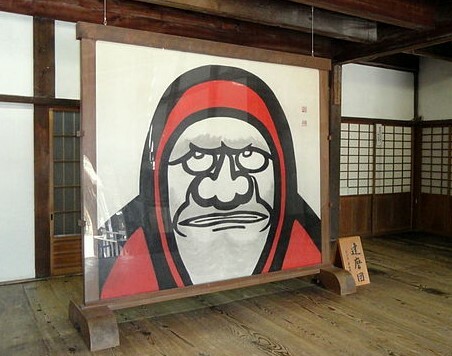 Some zen temples have pictures of Bodhidharma– you can see he does resemble a daruma. Source: Wiki Commons. One story says that one he meditated for nine years straight without any break. During that time, his legs and arms gradually rotted off completely! At some point, centuries after Bodhidharma died, Japan invented the first daruma, to represent Bodhidharma’s devotion. Another few centuries after that, Japan invented a new toy, the okiagari koboshi. Coincidentally, this traditional Japanese toy has a very round shape, like a daruma. Okiagari koboshi are also weighted on the bottom, so they always stand up right. As time passed, since they were similar in shape and size, people came to associate the okiagari koboshi with daruma. 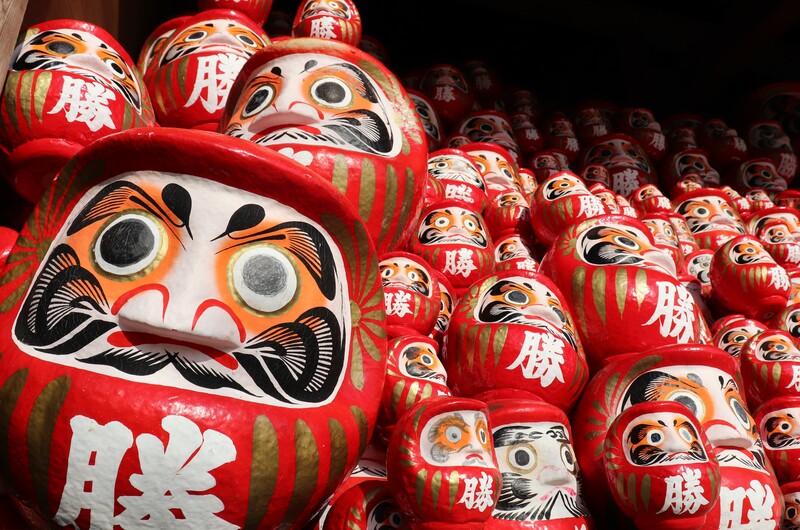 Because the dolls always stands up, daruma gradually became a symbol for victory. It is natural then, that the temple of victory has so many daruma. Yes, it doesn’t have any eyes! You are supposed to draw his eye in yourself. Make sure to draw his left eye first while focusing on your goal in your mind. Once you accomplish your goal, then you can draw his right eye. Make sure to give him big round eyes, just like Bodhidharma! 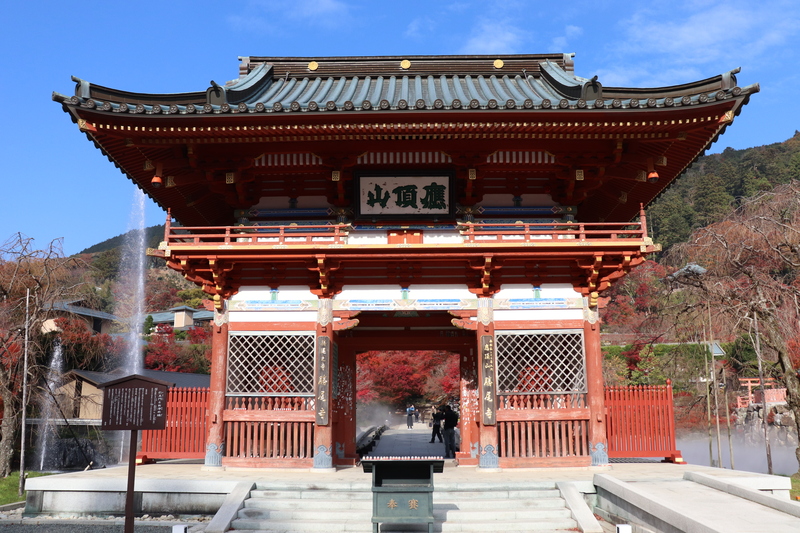 Katsuo-ji Temple is located high in the mountains, so it is a bit hard to access on public transportation. To reach Katsuo-ji Temple, take bus no. 29 from Kita-senri Station off the Hankyu Senri Line or Senri-chuo from the Osaka Metro Midosuji Line (Kita Osaka Kyuko Line). It takes roughly 45 minutes from either station. Despite the temple’s popularity, bus service to Katsuo-ji Temple is really sparse. Buses only come once every two hours on weekdays and once an hour in weekend. Be sure to check the bus schedule before going to Katsuo-ji Temple. It is also not unusual for the buses to fill up, and delays are common when the fall leaves are at their best. 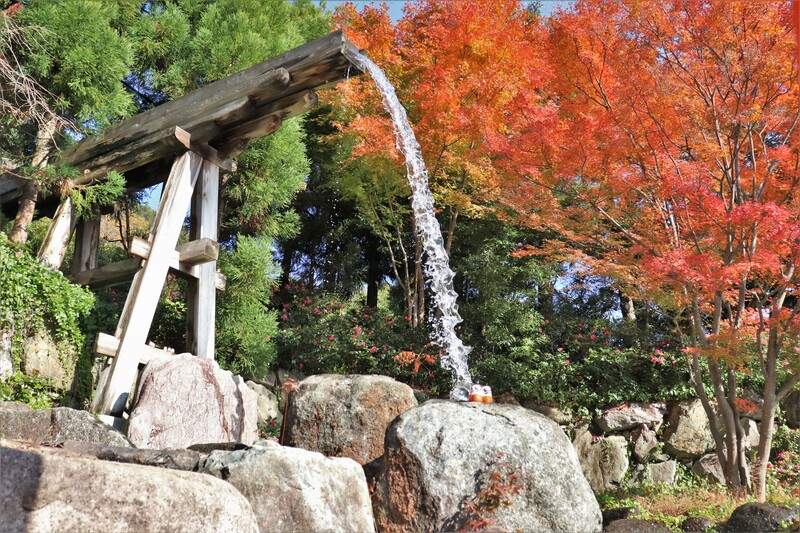 If you want to visit Katsuo-ji Temple during fall to see the leaves, consider going to visit nearby Minoo Waterfall, which is one of the best places in Osaka for viewing the fall foliage. However, Minoo is bit far from both Senri-chuo and Kita-Senri stations, meaning you’d have to change trains several times. So here is our travel tip! To get to Minoo Waterfall from Katsuo-ji, take the bus and get off at the Ao Danchi bus stop on the way to Senri-chuo Station. 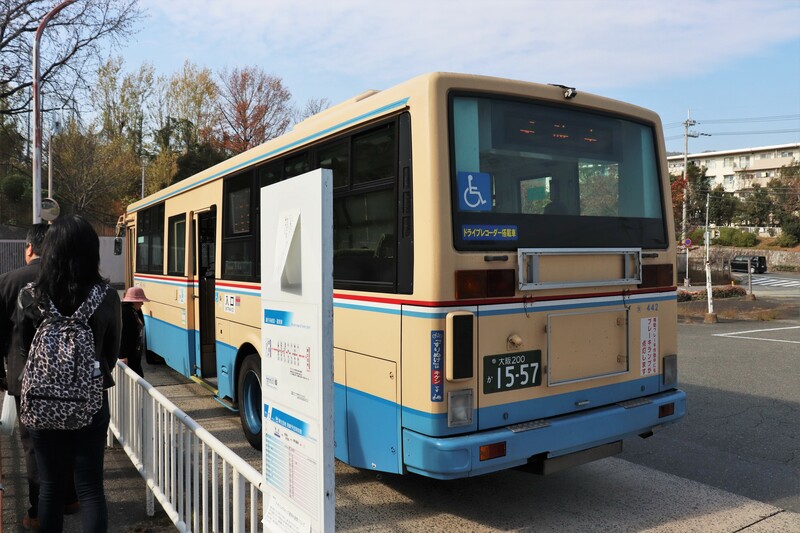 There you can get on a bus bound for Minoo Station. Buses to Minoo are pretty frequent, so not only is this a great shortcut, but it saves money too! Take a Hankyu Bus #36 or #37 at bus stop 1. Katsuo-ji Temple is right in front of the Katsuo-ji bus stop. Gate: rebuilt in 1603, contributed by Toyotomi Hideyori. Once you enter the temple ground, you will see the bridge. As you cross the bridge, the bridge releases a mist, for some reason. 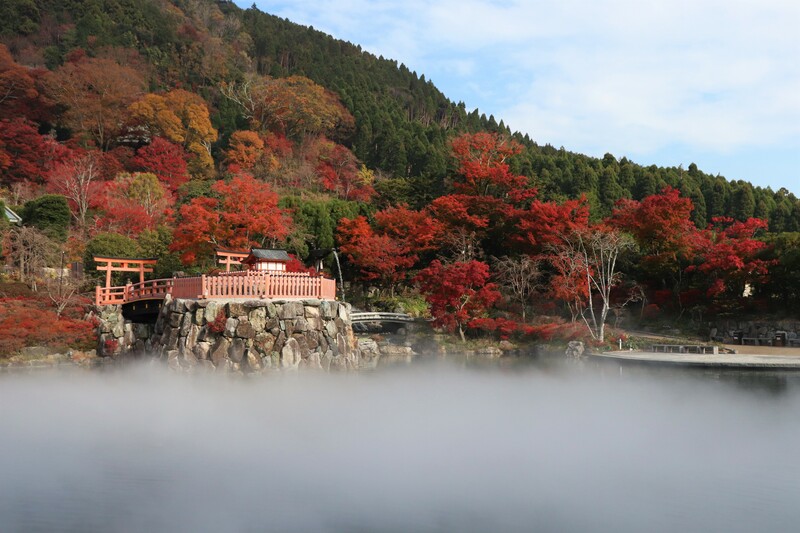 In any case, the contrast of the mist and the leaves looks very stunning together. Be sure to take your time wandering around the temple grounds. 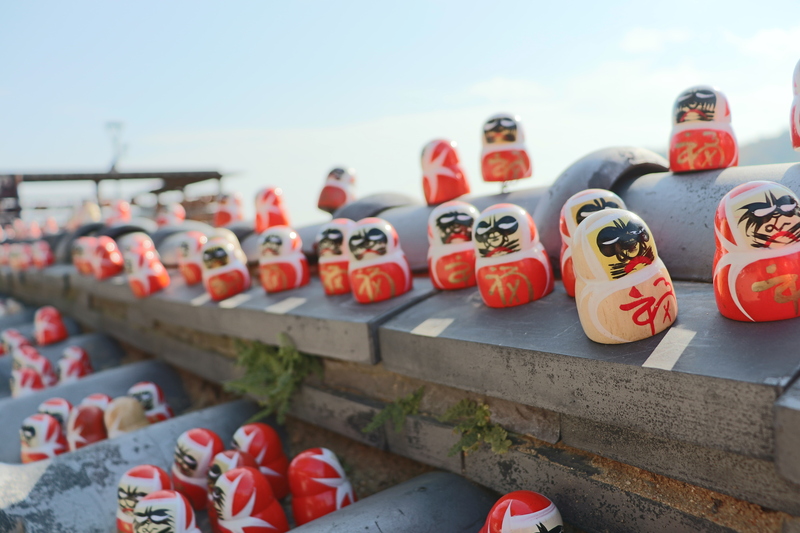 There are daruma omikuji and daruma dolls everywhere, so keep your eyes peeled! Sanpoko Shrine: shrine for ridding yourself of negative energy and disaster. 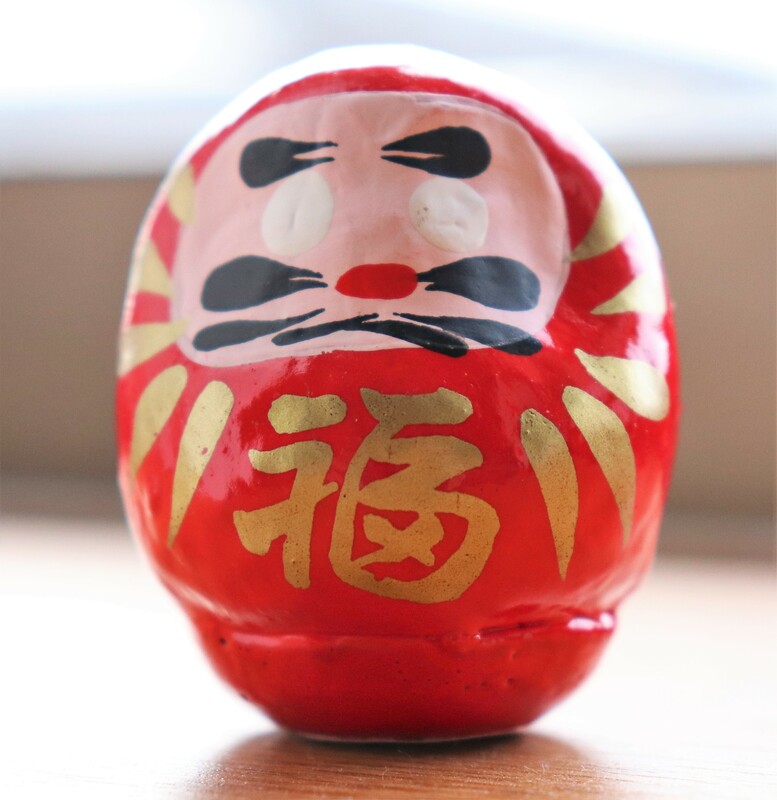 Though red is very iconic, daruma come a variety of colors! Taishi-do: Contains sand from all 88 temple of the Shikoku Pilgrimage. If you step on them, you get same benefit as actually visiting them. After a little while, the path will bring you to the top of the hill where the main temple building, the hondo, stands. Hondo: Though it looks quite new, it dates back to 1603. 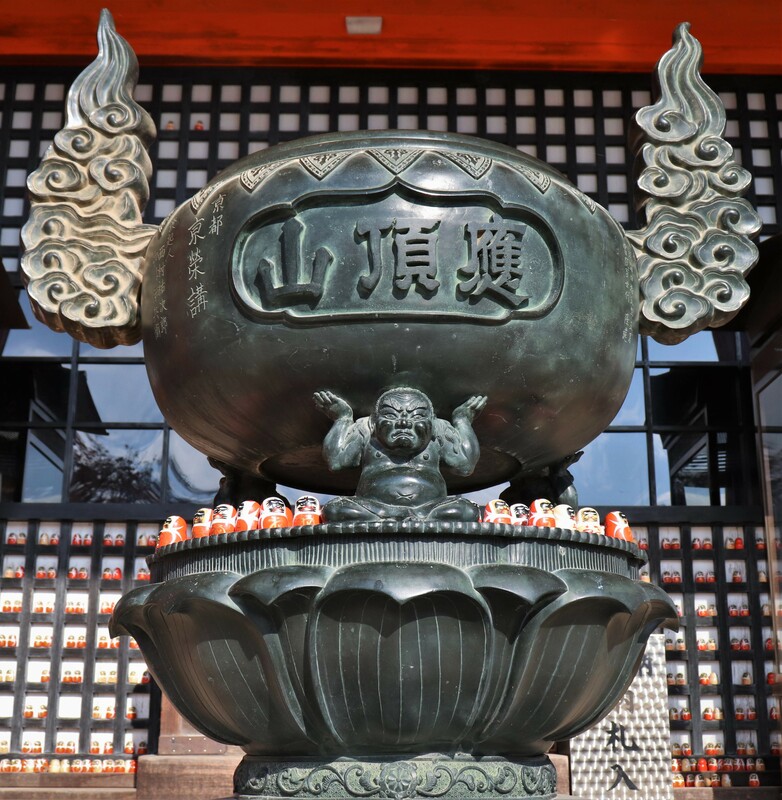 Since Katsuo-ji Temple is part of the Saigoku Kannon Pilgrimage, the main deity here is Kannon Botatsu. This temple specifically has an eleven faced statue of Kannon Bosatsu. Unfortunately, the statue is only opened for public view on 18th of every month, so you might want to double check your calendar ahead of time. You can buy a daruma omikuji in front of hondo for 500 yen. Behind the hondo is Nikai-do, where Honen the founder of the Jodo sect, practiced for a few years practicing. 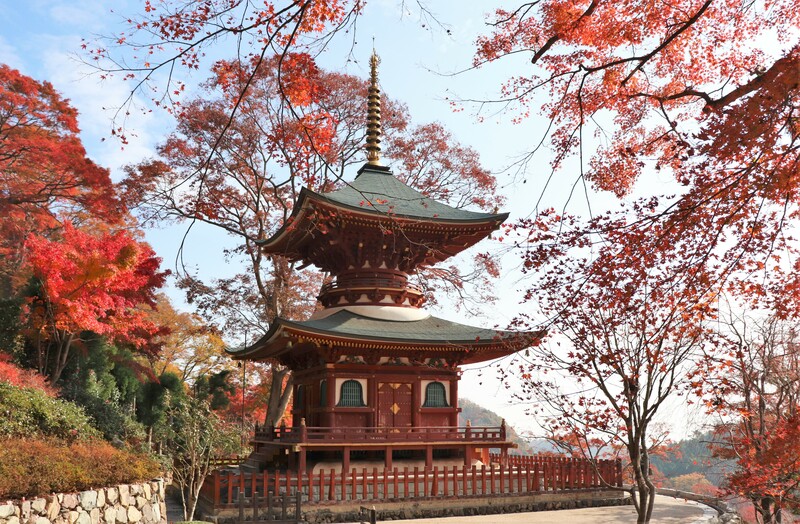 Tahoto: Iconic pagoda of Shingon Buddhism. 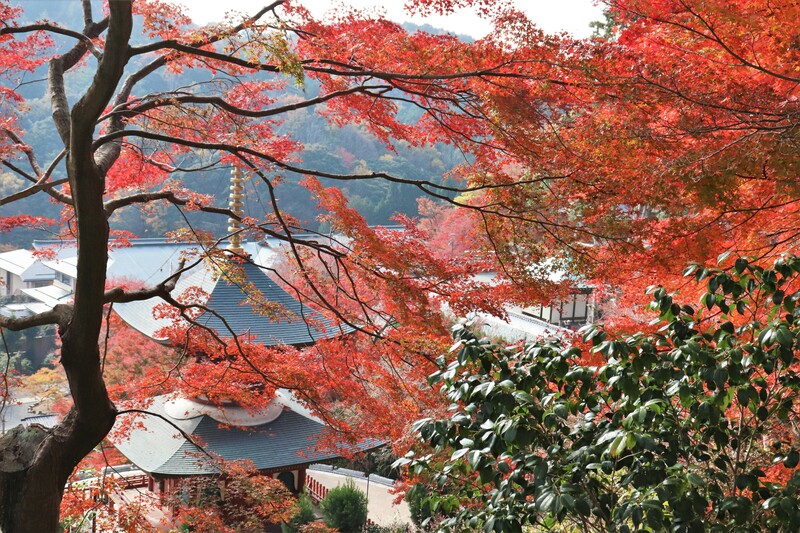 Though Katsuo-ji Temple is most popular during the fall, it is very beautiful year round. 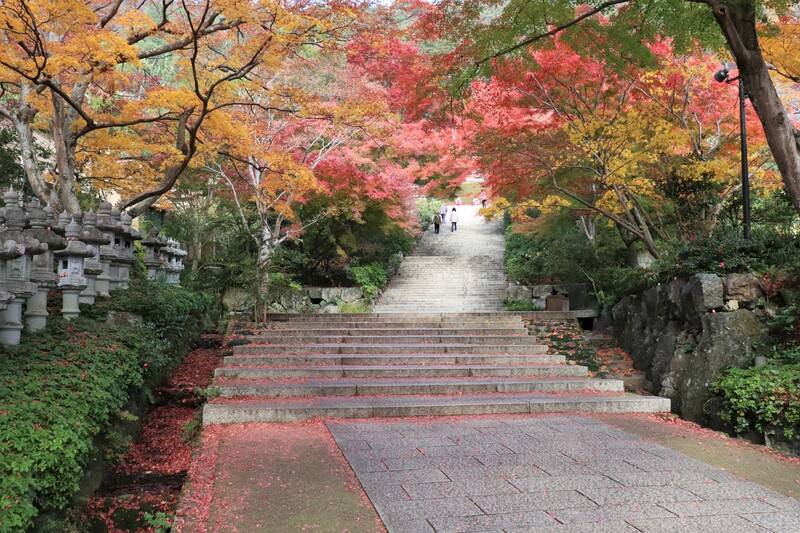 In the spring, the temple is busting with sakura and in the summer, there are many hydrangea that bloom here too! Try come if you can!